Launch Screen. 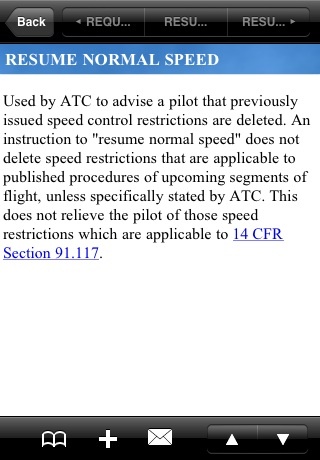 The Launch Screen is a jumping off point into the CFR, AIM, and P/CG content. Bookmarks. 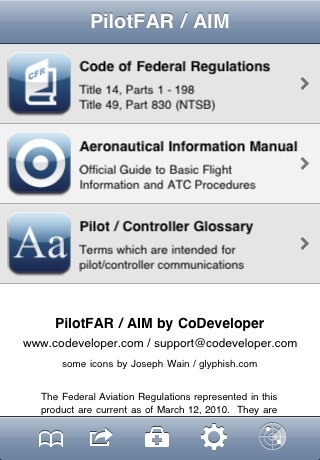 Bookmarks are an easy way to categorize and quickly access any PilotFAR/AIM content. 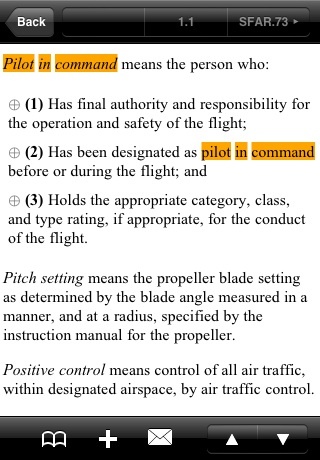 Pilot/Controller Glossary. 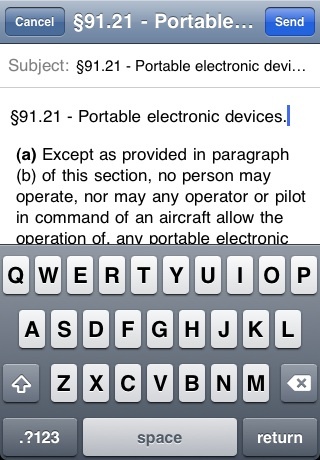 Notice the hyperlink to the associated regulation. 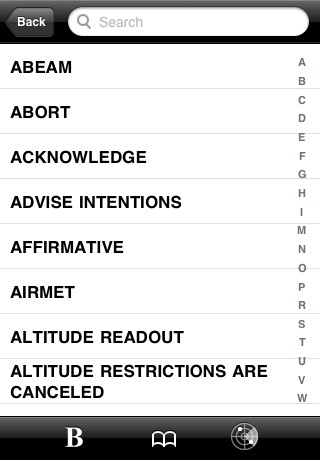 Congratulations, you've found the premier FAR/AIM app for the Apple iPhone and iPod Touch! 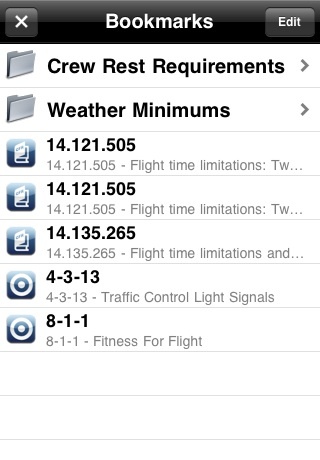 PilotFAR/AIM is the ORIGINAL FAR/AIM app in the AppStore and it is still the best! PilotFAR/AIM is used every day by thousands of Professional, GA, and Student pilots around the world, and we'd love for you to join their ranks. 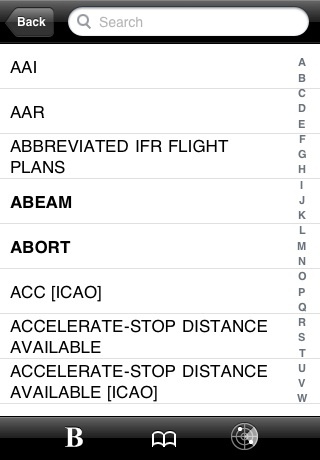 Quite simply, PilotFAR/AIM is the fastest, most refined FAR / AIM app you can get. But don't believe us outright - be sure to read our user reviews and feedback in the AppStore! 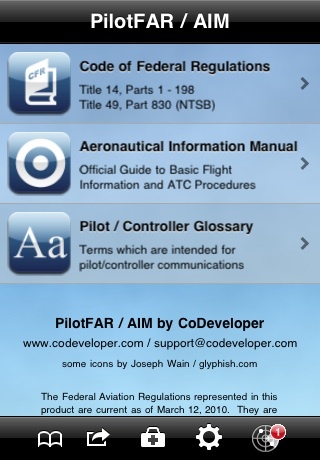 PilotFAR/AIM works without an internet connection - all content is installed on your iPhone or iPod Touch. 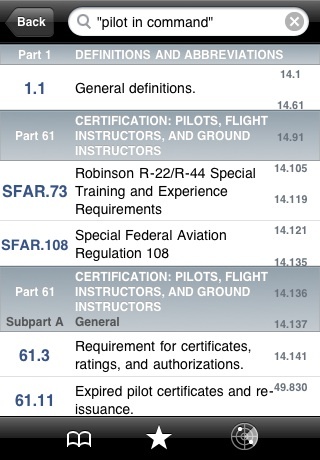 We update PilotFAR/AIM several times per year with the latest regulatory and FAA content - for free! There's no need to keep buying yearly upgrades or even to keep buying that thick heavy book you used to carry with you. All content is cross-referenced and hyperlinked. 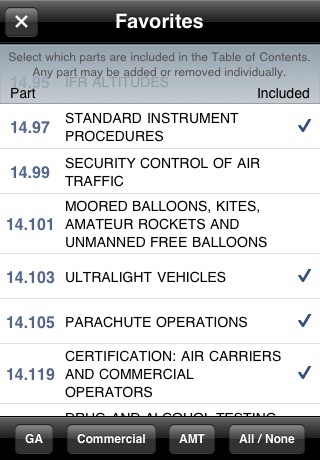 For example, if a topic in the AIM refers to a regulation, just tap the hyperlink. 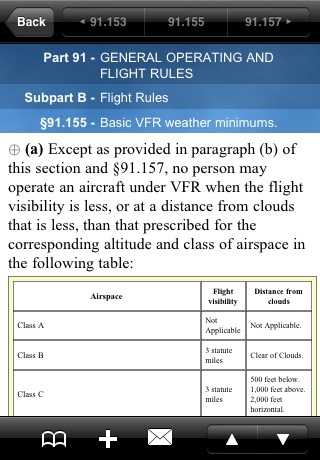 PilotFAR/AIM includes all illustrations and tables associated with the content. 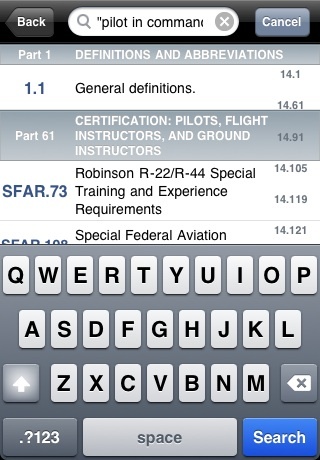 Content Formatting All topics are specially formatted for the iPhone / iPod Touch screen and include all text and graphics. 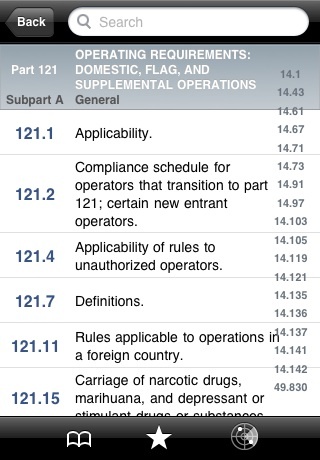 PilotFAR/AIM is the ONLY FAR/AIM product that presents regulations with nice indenting to make reading easier. Integrated If you use our other products, such as PilotPrep, those products include hyperlinks directly into PilotFAR/AIM. 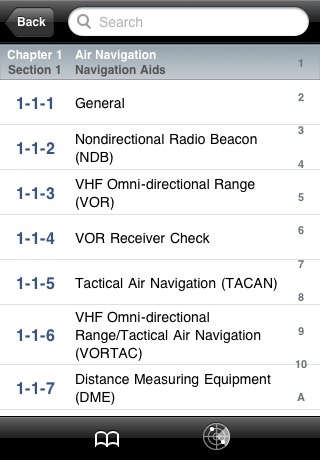 Many of these features are unique to PilotFAR/AIM. Don't be duped by knockoffs - only PilotFAR/AIM delivers all the content and features you're looking for.